Received his B.D.S degree from the University of Calicut in 2008.He did his graduation from the prestigious Royal Dental College ,Chalisseri, Palakkad, Kerala where he was an intern from 2008 to 2009 .He has vast experience in general dentistry in India and middle east. 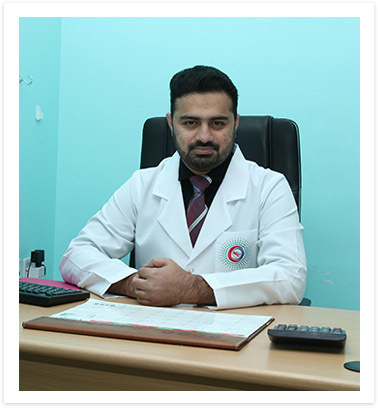 Prior to joining Shifa Al Jazeera Medical Group he was associated with Al Shifa dental and maxillofacial centre Malappuram India where he assisted the famous maxillofacial surgeon Dr.M.Ummer from 2009 to 2012.He then moved on to join Focus Dental Care Group where he was the Chief Dental Surgeon and Clinic head from 2012 to 2014 at their Manjeri Center. Dr. Saud actively participates in CDE programs held in India and abroad and is an active member of Indian dental association and Kuwait dental association. He is well versed with all treatment modalities in general dentistry with keen interest in endodontics, restorative smile design, fixed and removable prosthesis and aesthetic dentistry.